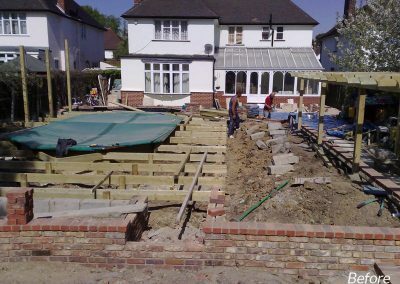 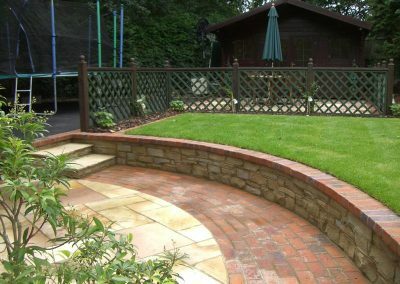 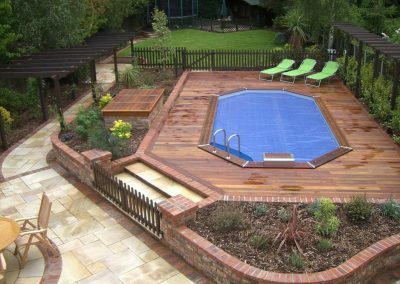 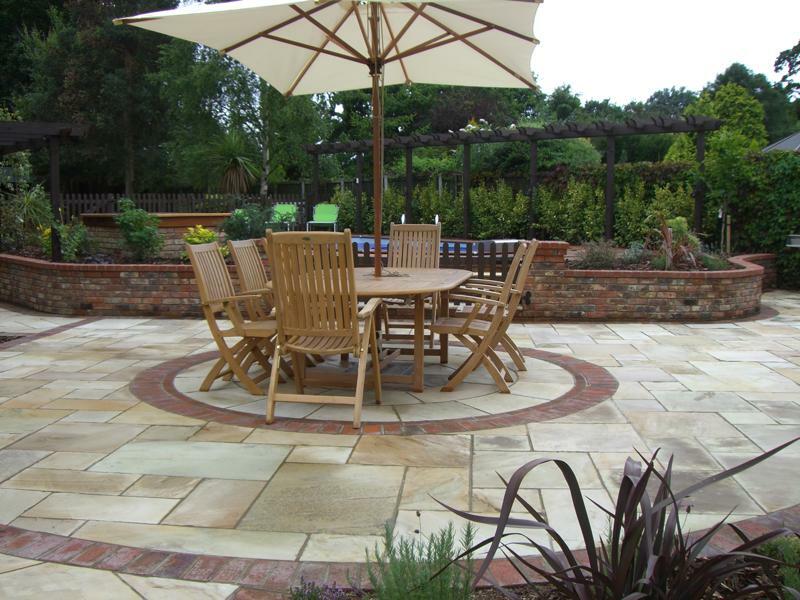 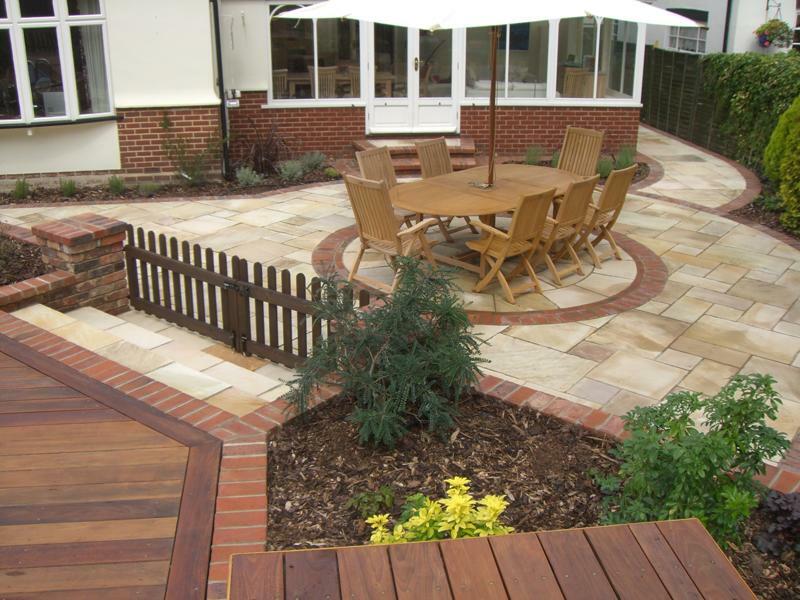 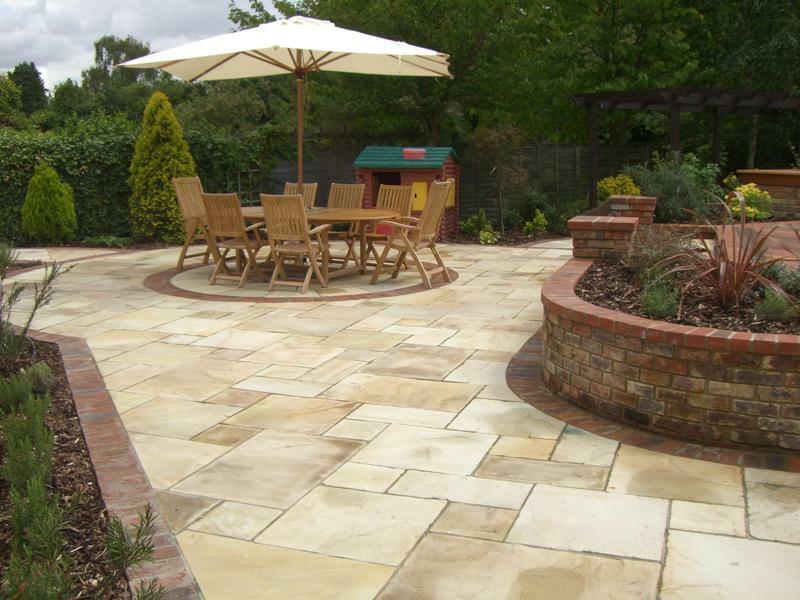 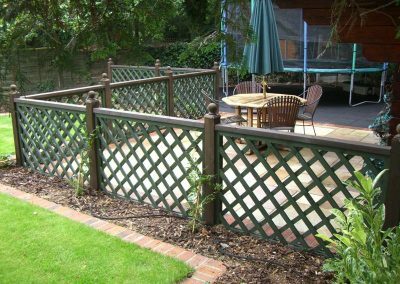 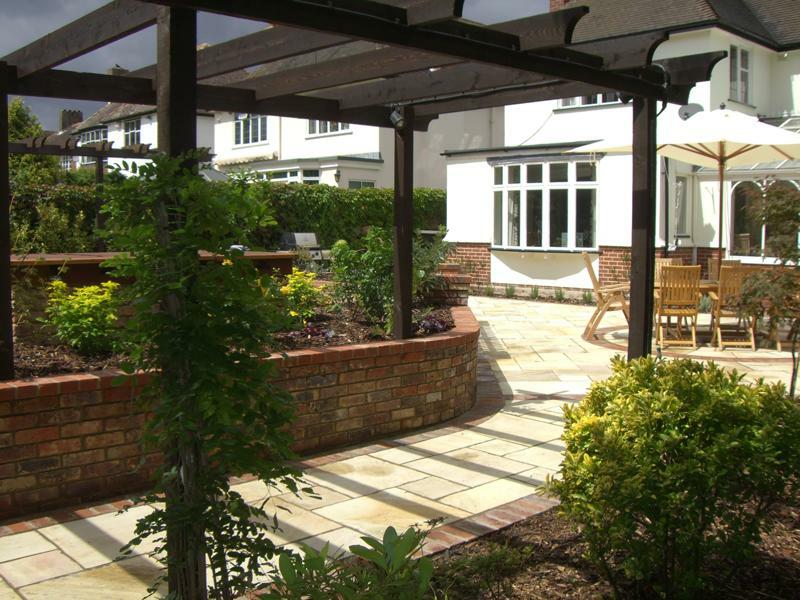 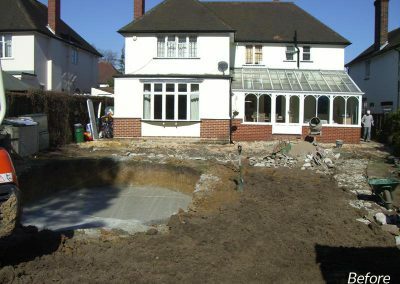 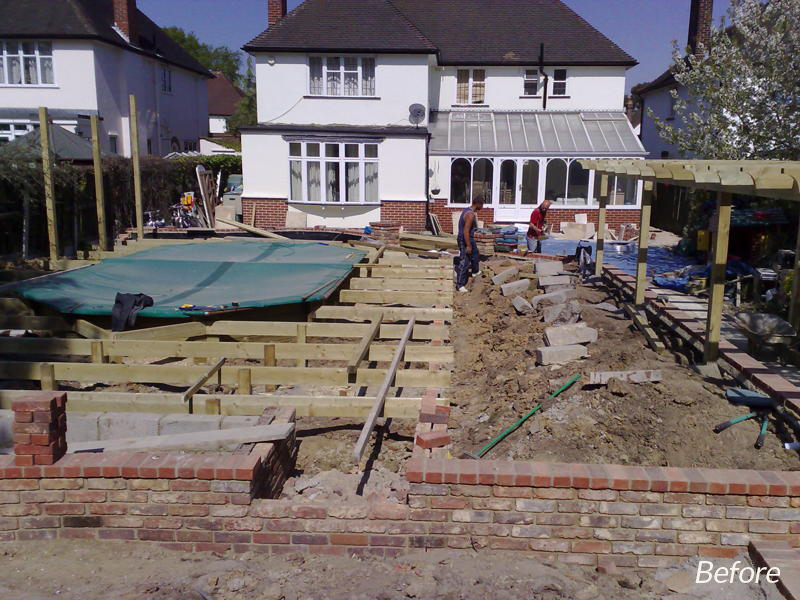 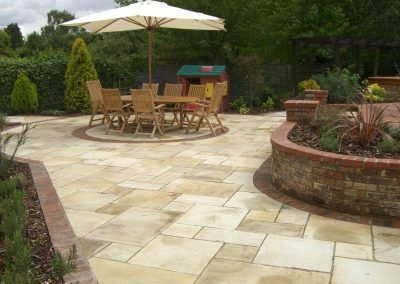 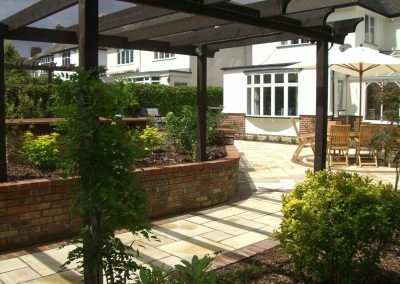 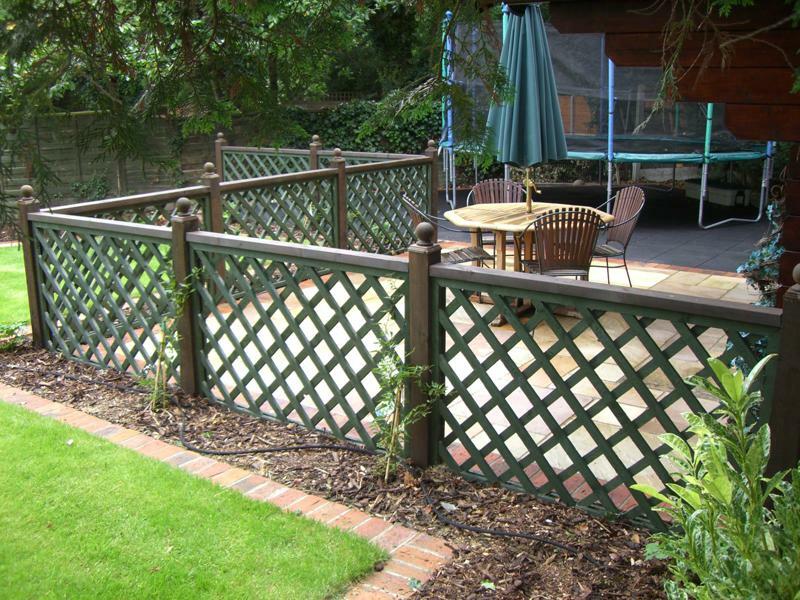 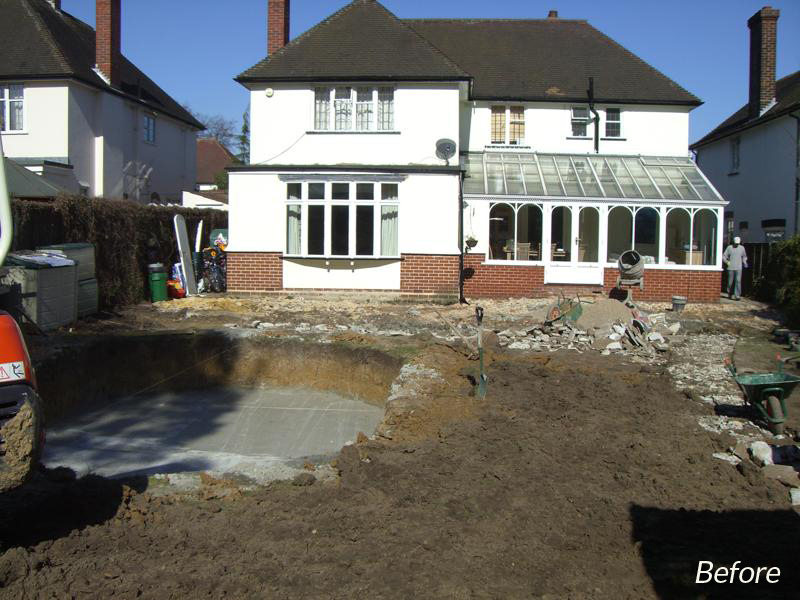 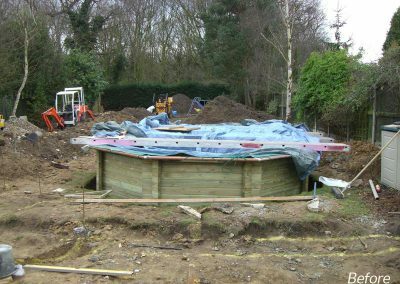 Our clients had to endure four months of work to achieve their dream garden and were delighted with the finished results. 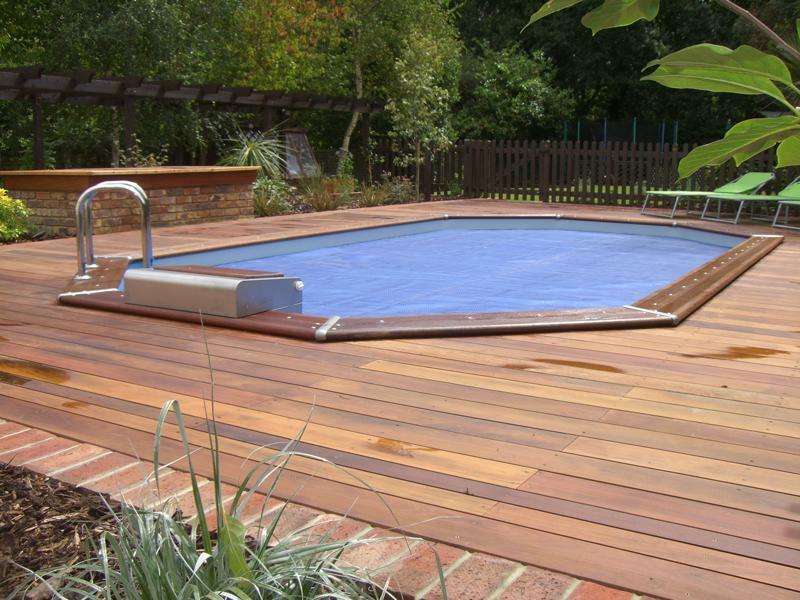 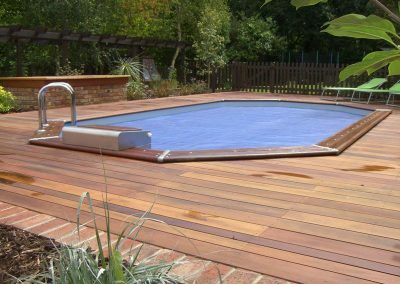 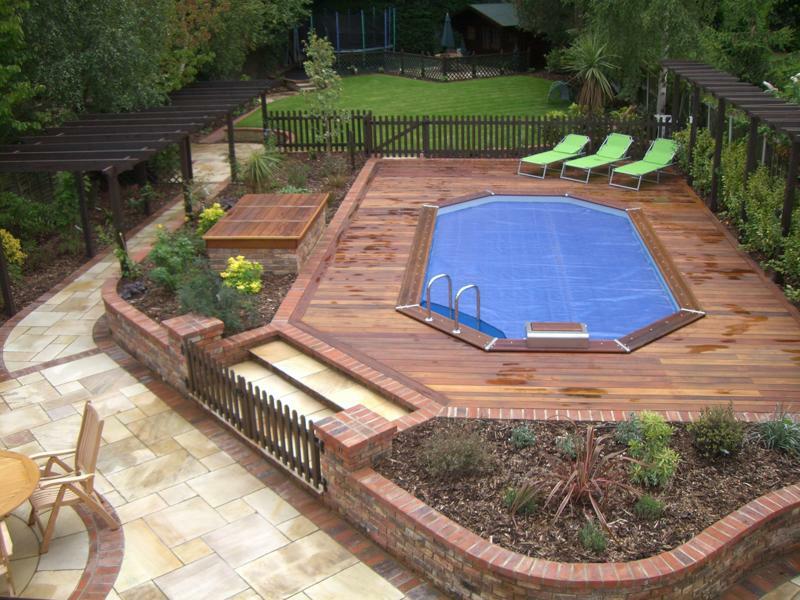 The swimming pool was designed into the scheme and built with their three children in mind. 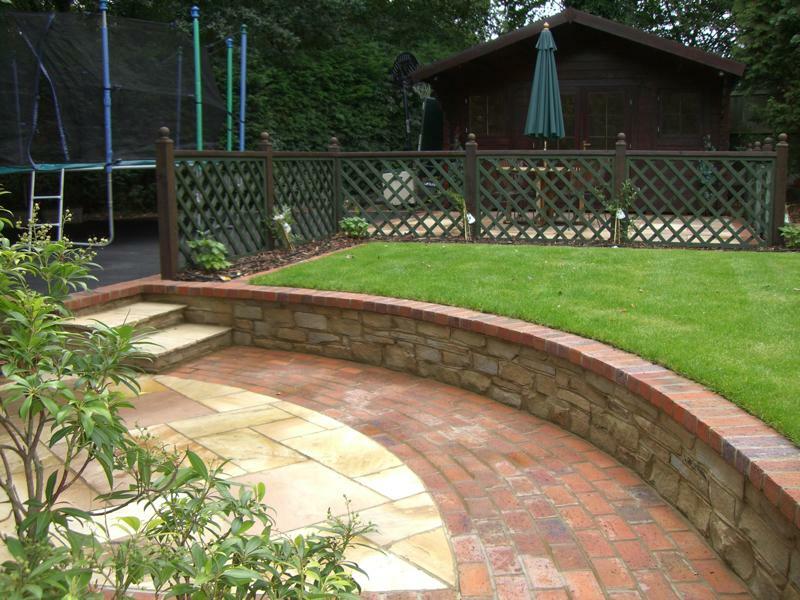 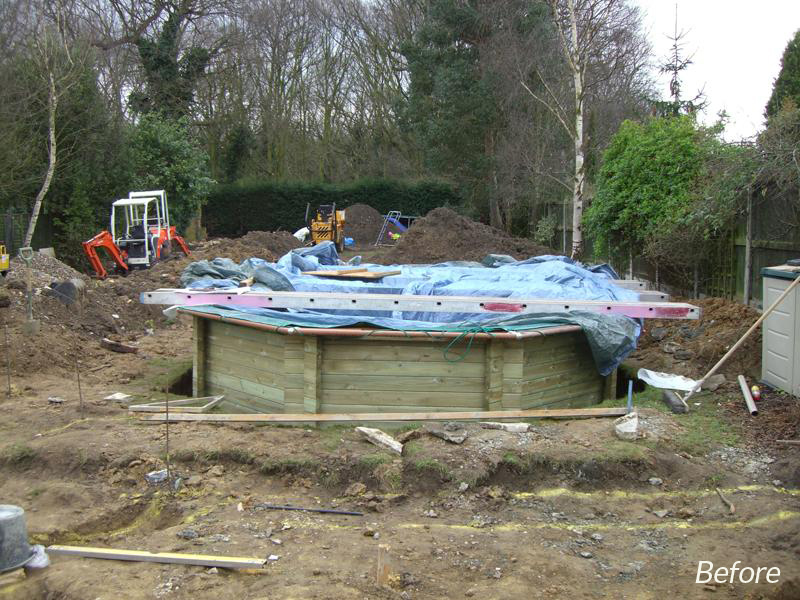 There was also a rear garden ‘chill-out’ chalet and play area designed for the kids. 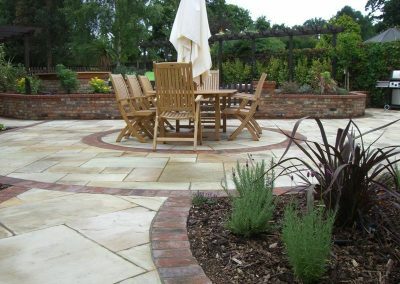 The adults had their own space with a large practical patio area.